Marco Carola and The Martinez Brothers turn the music up loud at the world's largest club. The Privilege closing party is always a colossal occasion befitting the world's largest club. As it is not unheard that the event last way into mid-morning, we were eager to see whether this would remain to be the case in 2018. Securing techno mega-giant Music On to host the final curtain call at the club can be considered a shrewd move. As legions of Marco Carola's cult-worshipping fans descended on San Rafael, everyone knew this was set to be a grand affair of the highest order. Armed fully loaded with boots ready to stomp from dusk until dawn, we made the pilgrimage to Privilege along with the hordes of Music On fanatics for one last dance. Arriving in the Vista just after sunset, Signor Carola was already in full swing as the last remnants of light dispersed through the panoramic windows. Flanked by his loyal entourage and a bevvy of lady admirers, electricity flowed across the dance floor. The Vista seemed fit to burst under the pressure, but the mood was positive and the energy levels high as the gathering mob swayed. Carola proceeded to drop familiar grooves, keeping hands in the air for the rise and peak, before a massive tech beat drop. The scale of production that Music On had installed was impressive. The shielded stage looked like a reinforced fortress from the 23rd century, while neon lighting penetrated towering palm trees. Amid dozens of laser, the iconic Music On logo flickered. The honour of opening up the expansive main stage fell to namesake and fellow Italian Marco Faraone. Setting the pace for the growing masses trickling out of Vista, he quickly filled that behemoth dance floor. If the earlier soundtrack in Vista had been littered with hip-hop samples, then Faraone combined techno beats with big diva soul vocals here. Paul Woolford's latest Hot Creation's banger was the pick. Following on from Faraone's expertly executed set came another Music On missionary. We had already witnessed Paco Osuna destroy Privilege's Main Room earlier this summer at RESISTANCE. This time around, the Spaniard was about to crank it up a gear higher. All eyes are now focused on Paco Osuna, as he has perhaps the unenviable task of headlining Amnesia's closing party next weekend. On the evidence provided on the Privilege closing night, it is an accolade he will revel in. Should you still seek proof that The Martinez Brothers have broken into the A-league, then consider that six hours prior to joining Carola in the booth, The Bros had sold out their own party in London. Ever the jet-setters, the Bronx pair made the flight from the UK especially for the occasion. With burgeoning label Cuttin' Headz growing in stature, here is a cut from the label that got the floor rockin'. Unsurprisingly, the motions had been set for the lead protagonist to steal the show. This was always going to be Carola's limelight. We had arrived back to where we had started the night - in the presence of Marco Carola doing what he does best. Namely, playing crowd-pleasers to an energetic dance floor as sun shone in through the skylight. In the end, we went all the way to 09:30 before the music cut out, leaving only a few hours refreshment between exit and the third instalment of Music On's booster closing program at Blue Marlin. 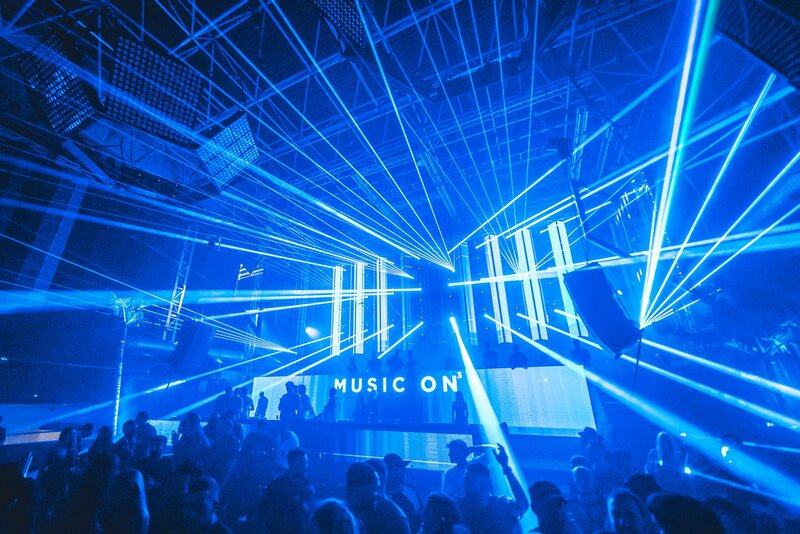 Thus, another storied season is rounded off at Privilege Ibiza. Without any hesitation, we can state that the Music On and Cuttin' Headz camps gave the big ol' girl the send off she deserves.